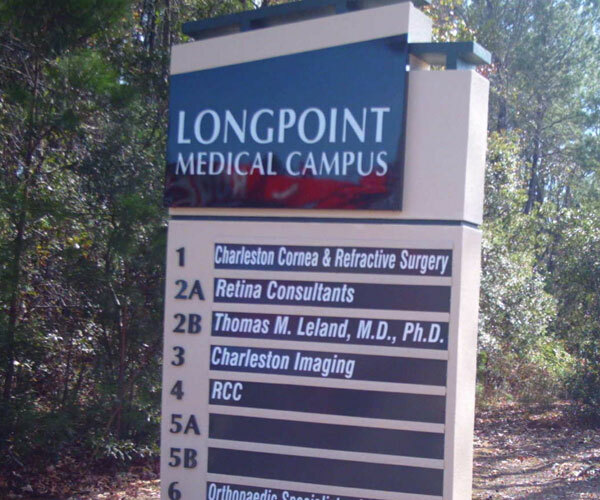 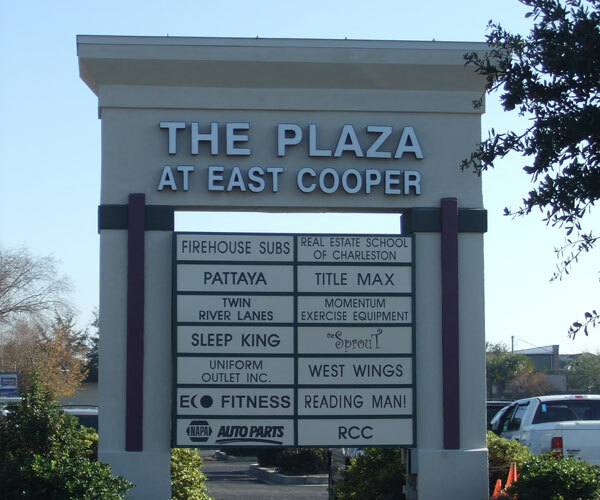 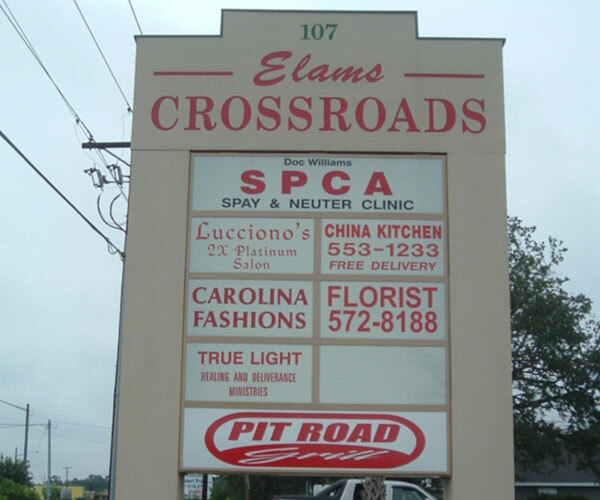 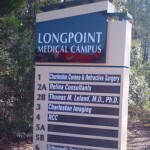 Shopping Centers – Signs by Roberts & Sons, Inc.
Multi tenant signs are one of our specialties! 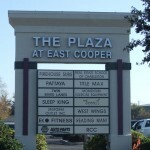 We can produce signs for a few tenant parcels to a full-scale mall. 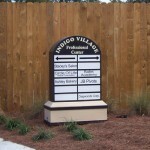 We will guide your choices within local zoning regulations. 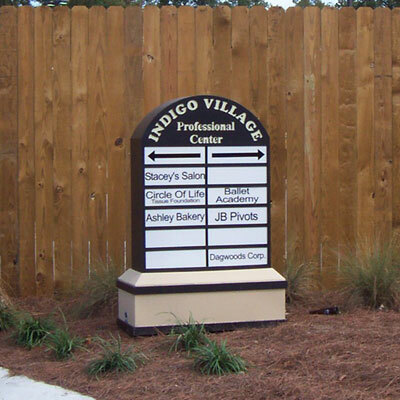 We also offer a variety of directional signs, which usually give your tenants greater visibility. 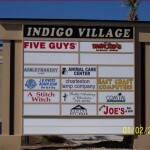 We have worked with Roberts Signs for the past 6 years on numerous projects and signs. 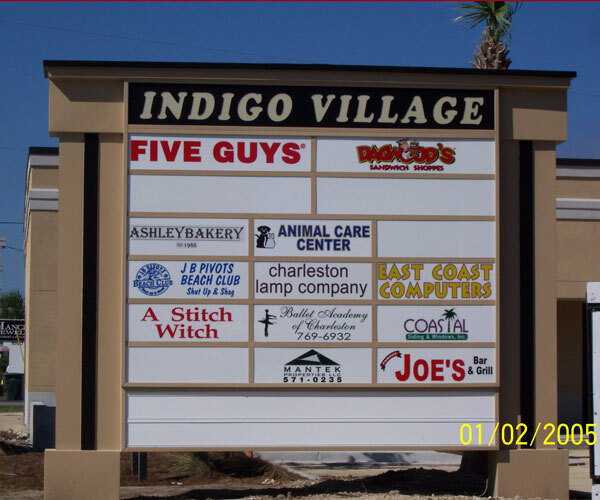 Their service and end product quality are unmatched. 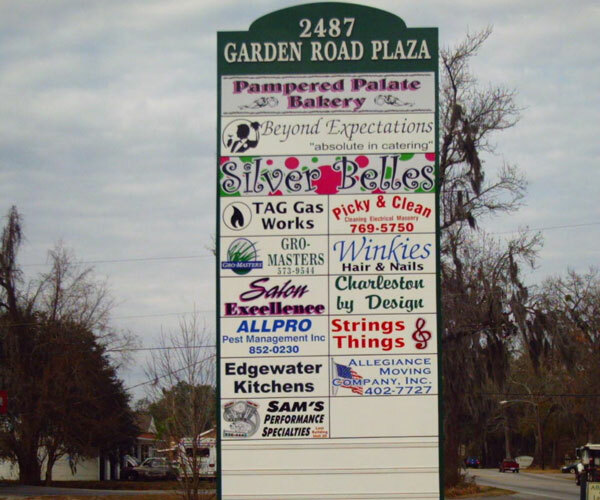 Banners are printed on location with quick turn around time and professional store front signs are bent and milled in house. 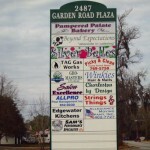 If you are looking for artists that have perfected their trade, then Roberts Signs is for you. 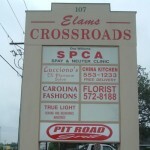 If not there are 100's of quick print operations that will be glad to over charge and farm out the work.